Very spacious room. Staff was very helpful. Convenient location. Where to find Flint hotels near an airport? How can I find hotels in different Flint neighborhoods? Where can I find hotels in Flint that are near tourist attractions? Flint offers a range of affordable and luxurious places to rest and relax. Our Expedia hotel database lists 17 hotels within 0.1 kilometres (0.06 miles) of Flint's center. Accommodations within strolling distance of the Flint city center, are the Holiday Inn Express Flint-Campus Area and Knob Hill Bed & Breakfast. Grand Blanc, a popular Flint accommodation neighborhood with 4 Expedia-approved hotels is 11 kilometres (7 miles) from downtown. Some of the more popular of the hotel options in Grand Blanc are the Holiday Inn Express Hotel & Suites Grand Blanc and Wingate by Wyndham Flint / Grand Blanc. Fenton, Lapeer and Imlay City are alternative Flint neighborhoods that offer accommodation. In Fenton, the range of hotels include the Fairfield Inn & Suites Flint Fenton and Comfort Inn & Suites. Alternatively, if you would like to book accommodation in Lapeer, you can make a selection between the Holiday Inn Express Lapeer and Best Western Lapeer Inn. In Imlay City you can take your choice between Days Inn Imlay City and M53 Motel. The Flint area features a selection of affordable hotel options that will be sure to satisfy even the thriftiest visitors. The M53 Motel is 50 kilometres (31 miles) from downtown, while the Super 8 Imlay City MI is 50 kilometres (31 miles) away. 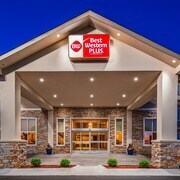 The Burton Inn & Suites and the Red Roof Inn Flint - Bishop Airport are another two lower priced accommodations worth checking out. 25 kilometres (17 miles) away from the center of Flint, is the Holiday Inn Express Birch Run - Frankenmuth Area. 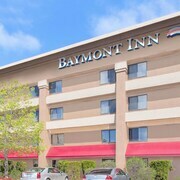 The Residence Inn By Marriott Flint can be found 8 kilometres (5 miles) away. Alternatively, check out the amenities and rates at the Comfort Inn Birch Run - Frankenmuth or the Hampton Inn & Suites Flint/Grand Blanc. Once you have explored Flint, why not tour a bit further afield? The Detroit - Southeast Michigan region has many great the other cultural and scenic and cultural delights to offer. Detroit - Southeast Michigan boasts forests. Commonly visited Detroit - Southeast Michigan tourist destinations include history museums. Common pastimes in this part of United States of America include snowboarding. 90 kilometres (57 miles) away from Flint is Detroit, where you can find Fox Theatre and Detroit Institute of Arts. Should you wish to spend a night or two in Detroit, check Expedia's booking pages for the latest deals at the MGM Grand Detroit and Detroit Marriott at the Renaissance Center. 80 kilometres (51 miles) to the south of Flint, you can also stay at Ann Arbor, home to the Bell Tower Hotel and Hilton Garden Inn Ann Arbor. The University of Michigan and Ann Arbor Hands On Museum are popular attractions to see while in Ann Arbor. Bishop International Airport is a logical airport, and is located 6 kilometres (4 miles) away from Flint. Expedia-listed hotels close to Bishop International Airport include Holiday Inn Flint and Courtyard Flint by Marriott. What are the most popular Flint hotels? Are there hotels in other cities near Flint? What other types of accommodations are available in Flint? Explore Flint with Expedia.ca’s Travel Guides to find the best flights, cars, holiday packages and more!